Joining the casts of the 'Fantastic Beasts: The Crimes of Grindelwald', Jessica Williams attended the premiere at Cineworld Leicester Square yesterday evening(November 13th) in London. Along with Zoe Kravitz & Katherine Waterston, Jessica opted for a bold hue as well, courtesy of VIVIETTA. 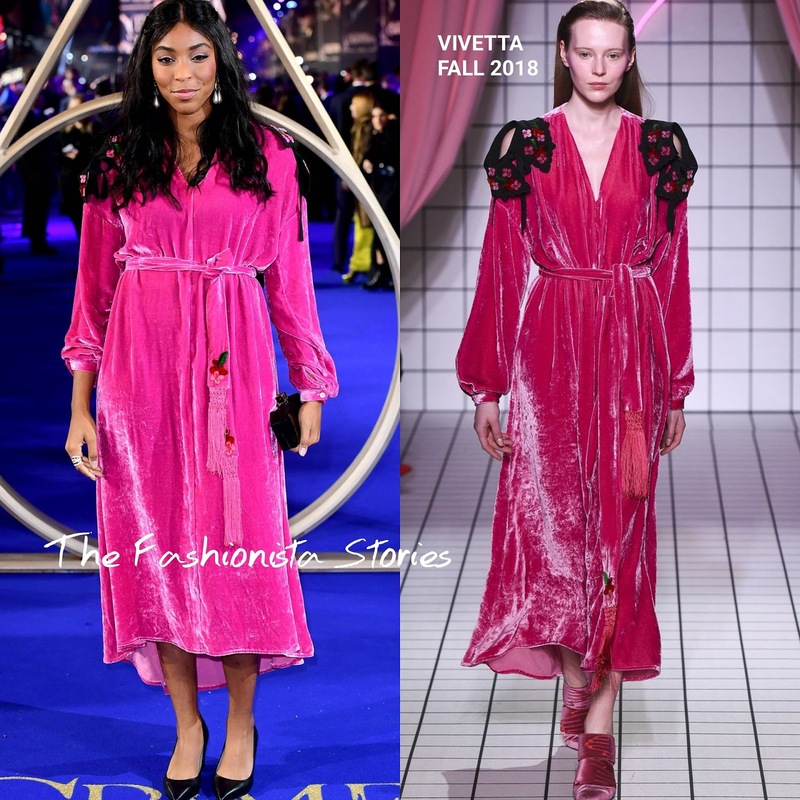 Her FALL 2018 fuchsia velvet midi dress featured contrasting black cutout, floral embroidered shoulders and a tie waist. The dress is cut but not flattering. She had the v-neck shorten which wasn't a bad move but I she could have gone down a size for a better fit. Also I would ditch those STELLA LUNA black pumps for sandals and pull the hair back straight & off-thw shoulders. She finished up with a black JUDITH LEIBER clutch.